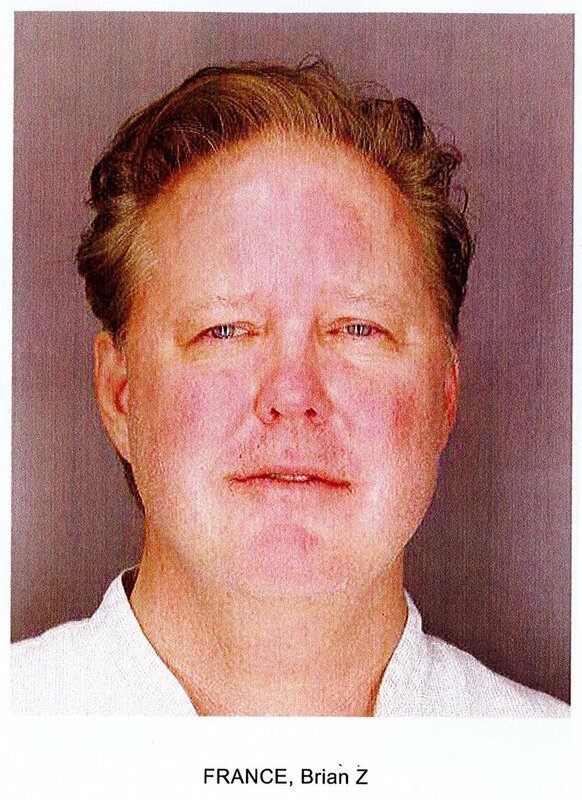 NASCAR Chairman and CEO Brian France was arrested for aggravated DUI and criminal possession of a controlled substance Sunday evening in The Hamptons. Police say France’s 2017 Lexus was stopped after he ran a stop sign in Sag Harbor, NY at approximately 7:30 PM ET. He failed a field sobriety test, and police also found five oxycodone pills in his possession. He was arrested and booked for aggravated DUI and criminal possession of a controlled substance in the seventh degree. France spent the night in jail and was released on his own recognizance this morning, after arraignment in Sag Harbor Village Justice Court. NASCAR Vice Chairman and Executive Vice President Jim France – uncle of Brian France -- has assumed the role of interim chairman and CEO. There are at least two major problems with what went down Sunday night. First, NASCAR’s CEO was in the wrong New York hamlet at the time. Sag Harbor, NY is approximately 350 miles from Watkins Glen, where NASCAR’s Monster Energy and Xfinity Series had convened for a pair of important, late-season races. As Chairman and CEO, France should have been there, overseeing a family business that is much in need of his attention. 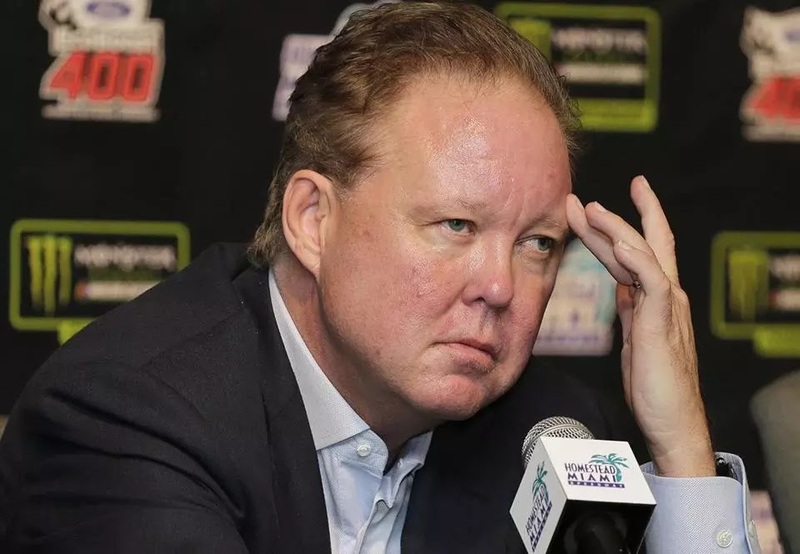 Second – and most obviously – NASCAR’s CEO made the ill-advised choice to drink a substantial quantity of alcohol, then climb behind the wheel of a motor vehicle. New York State law defines “aggravated DUI” as cases where the accused’s Blood Alcohol Content is at least .18, meaning that France’s BAC was more than twice the legal limit of .08. In layman’s terms, that is blind, stinking drunk; a sad state of affairs for a man who just days earlier had proclaimed himself "locked and loaded" when it came to guiding the sport. “Locked and loaded” quickly degenerated into “locked up and loaded,” and it remains to be seen whether France can overcome this personal and professional setback. This is not France’s first alcohol-related brush with the law. In December of 2006, a woman phoned police and reported a vehicle driving erratically on US Rte. 1 in France’s hometown of Daytona Beach, Fla. She said the male driver had driven over curbs, struck a parked car and then scraped a tree outside the guard house of what was later determined to be France’s condominium. Roughly 20 minutes after the call was received, police contacted and interviewed France, but were unable to charge him with DUI, since he was already inside his residence and not behind the wheel. France admitted to officers that he had been drinking that evening, but emerged with nothing more serious than a temporary blow to his public image. France’s tenure as CEO of NASCAR has its ups and down, to be sure. His advocacy of the ill-fated Car of Tomorrow was a major setback for the sport. He is frequently criticized for being an absentee owner, spending far too much time on his yachts and not enough in the NASCAR garage. There have been frequent instances of odd behavior, highlighted by last year’s nationally televised Championship Awards Ceremony when France walked past champion Martin Truex, Jr. and handed him the traditional champion’s ring on the fly before stalking offstage. While France deserves criticism for some of his decisions at the helm of the sport – and certainly for his actions last weekend -- he also deserves kudos for spearheading a number of positive changes in the sport. NASCAR is far safer today than on his father’s and grandfather’s watch, with no deaths at the national series level since 2001, and very few serious injuries. He has been a staunch advocate for diversity, smashing glass ceilings and transforming NASCAR’s image as a male-only, Confederate flag waving sport. He was instrumental in the creation of the sport’s current television packages, jettisoning a hodgepodge collection of networks in favor of a unified television package that splits the season equally between just two broadcast partners. That’s credit where credit is due. Now, however, critical decisions must be made about whether France can continue to effectively lead the sport. His arrest has taken the luster off what should have been a high-octane week for NASCAR. With second-generation driver Chase Elliott claiming a wildly popular first Monster Energy Series win at Watkins Glen and Ford set to introduce its new MENCS Mustang on Thursday, the sport was on a high competitive roll. Now, however, NASCAR find itself eyebrow-deep in damage control, attempting to extinguish France’s personal dumpster fire. The third-generation NASCAR boss faces fines of $1,000 to $2,500 on the aggravated DUI charge, along with a possible one-year jail term and the loss of his driver’s license for 12 months. On the possession charge, he faces a maximum sentence of one year in jail or three years’ probation, with a fine of up to $1,000. Legal entanglements notwithstanding, France now faces questions about his possible addiction to oxycodone. Addiction is a problem that takes far more than a “focus on personal affairs” to rectify. And even if he does not suffer from the disease of addiction, France’s apparent inability to make sound decisions concerning his consumption of alcohol bring both his judgement and stability into serious doubt. For now, at least, NASCAR is in good hands. Jim France is a highly respected member of NASCAR’s Board of Directors and a driving force behind many of the sport’s most successful recent initiatives. He commands a level of respect in the NASCAR garage that far surpasses that of his embattled nephew. Brian France’s arrest – to say nothing of published reports of his “don’t you know who I am” posturing to officers at the scene – has damaged his reputation and negatively affected his ability to lead the sport. He does not hold an ownership stake in NASCAR. The sanctioning body is owned by Jim France and Lesa France Kennedy – Brian’s sister – and it is they who will ultimately decide whether Sunday night’s arrest is just another pothole in the road, or his personal Waterloo.